FRIDAY, Jan. 26, 2018 (HealthDay News) — Obesity and other health problems may boost the chances of cancer returning after a man has his prostate removed, a new study finds. “Prostate cancer is the most common cancer in men, and up to 30 percent of patients will develop recurrence after [prostate removal],” said study author Dr. Arash Samiei, of Allegheny Health Network’s urology department in Pittsburgh. Samiei’s team analyzed data from 1,100 prostate cancer patients who had their prostate removed (radical prostatectomy) at a Pittsburgh hospital between 2003 and 2013. The patients were an average of age 60 when diagnosed. Thirty-four percent were obese, and 19 percent had metabolic syndrome — a group of risk factors that increases the chances of heart disease, stroke and diabetes. The patients were followed for an average of four years. Prostate cancer returned in more than 32 percent of obese patients, compared with about 17 percent of those who weren’t obese, the researchers said. 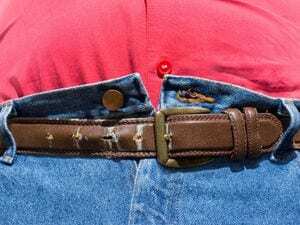 “Obesity and metabolic syndrome have become increasingly widespread in our society,” Samiei said in an association news release. This study indicates that “prostate cancer patients who are obese or have metabolic syndrome undergoing [prostate removal] may have a higher chance for recurrence of the disease, and these individuals should have more focused follow-up care,” Samiei said. Because the study is observational, it can’t prove that obesity and metabolic syndrome are responsible for cancer returning. Still, “by preventing metabolic syndrome, men with prostate cancer may have a higher chance of a favorable oncological outcome following surgery,” Samiei said.